Lightning strikes, becomes a garden of isolation for an endless kiss. “Beware the moment of indecision… Beware the rampant loom…” After the antlers, after the horns and beneath the long gowns blurred at the edges, the fabric is magnetic and monolithic, a rivering sense under the grille of instinctual uprooting. Your eyes smeared downwards in the colors of approaching recognition. Sight is dripping and leaking. 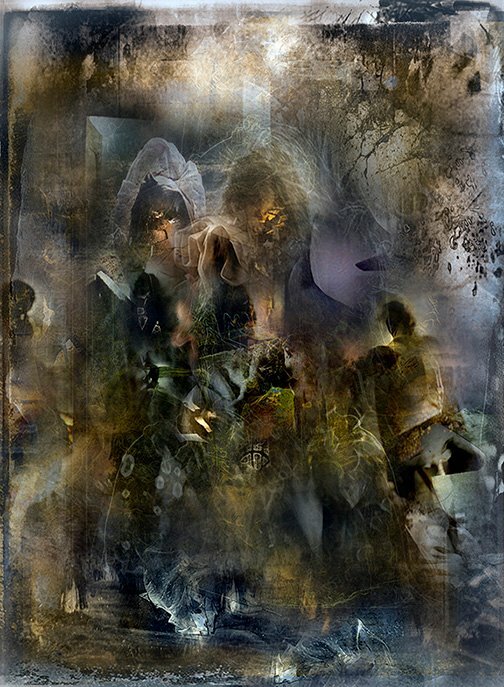 Sight is the honey of clashing apparitions and the ache of consciousness, evoking to involve. Indulging the unavoidable.